These beautiful brass urns are handcrafted into a work of art with four accented cat silhouettes that are inlayed around the center of the urn. The Country Blue Option has silver colored silhouettes and the remaining colors boast brass colored silhouettes. The silhouettes include a cat sitting (two different positions), one licking it's paw, and one standing as if to pounce any second. 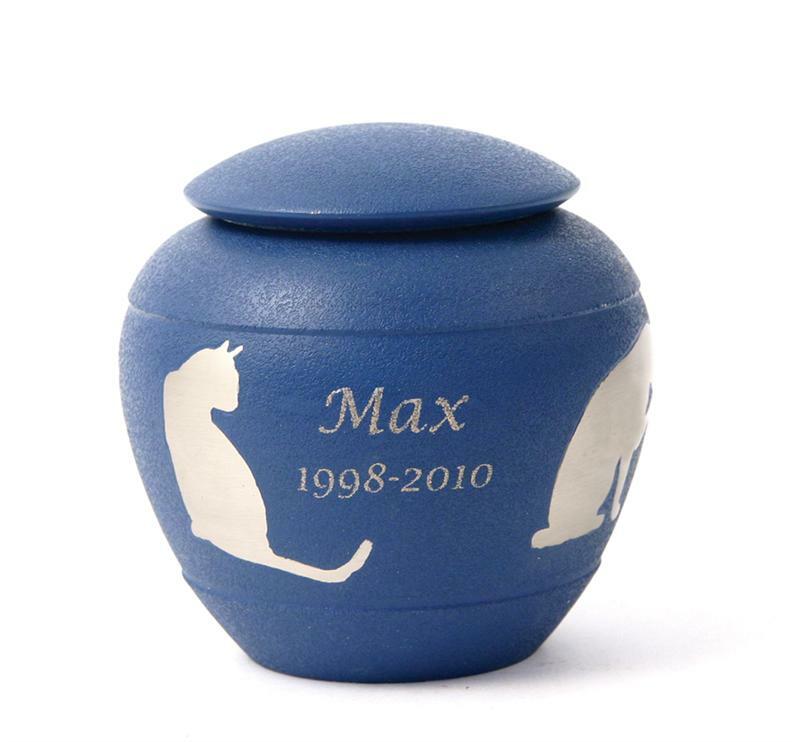 The Silhouette urns are acid etched and painted to a unique finish that provides an elegant tribute to your beloved cat. 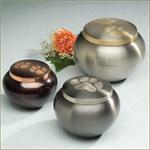 This urn may be engraved choosing from our large selection of fonts. Engraving of your pet's name and/or dates is done between the silhouettes. Available in your choice of Sienna, Fern, Country Blue or Shale. Urn Dimensions: 4.5" x 4.5"
Up to 30 cu. in.